October 20th in Premium Themes, WordPress Themes by Wordpress Jedi . Crowdfunding websites such as Kickstarter and Indiegogo have allowed many entrepreneurs and small businesses to raise funds for exciting projects. 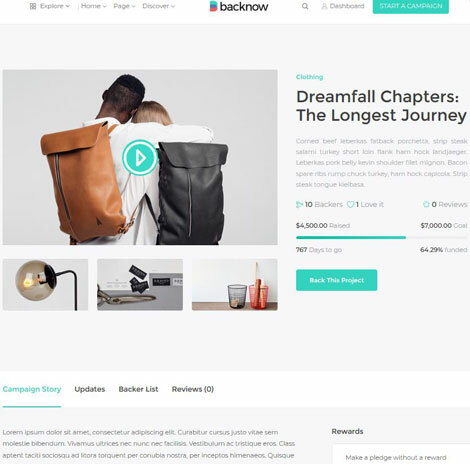 Backnow for WP is a commercial theme that lets you raise funds on your own site. It could be for an upcoming project or a good cause. April 18th in Plugin Lists by Wordpress Jedi . July 20th in WordPress Themes by Wordpress Jedi . Crowdfunding websites such as Kickstarter and Indiegogo have allowed many entrepreneurs to raise funds for their ideas and turn their dreams into reality. They are not the only players in town. 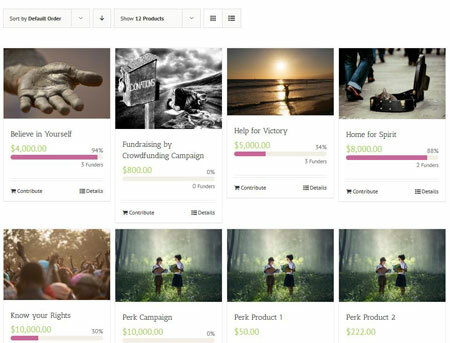 In fact, many startups run independent crowdfunding campaigns on their own sites. Whether you are interested in running your own crowdfunding campaign or help others realize their dreams, Startup Idea can help. It is a PayPal integrated, responsive theme for crowdfunding websites. December 2nd in WordPress Themes by Wordpress Jedi . In this day and age, people expect to be able to find credible businesses, non-profit organizations, and even movements online. Whether you run a non-profit business or promote a worthy cause, you need to have a professional website to keep in touch with your audience and get more folks to join your movement. Social Activity could be just what you need. 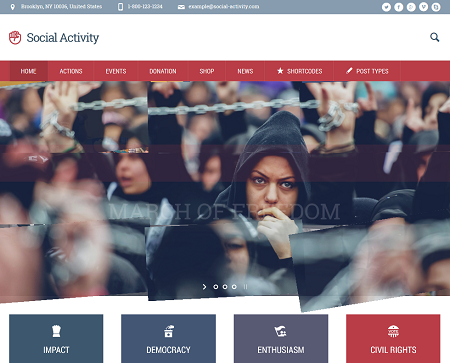 It is a premium theme for activists, political sites, and even crowdfunding campaigns. September 22nd in WordPress Themes by Wordpress Jedi . Crowdfunding sites such as Kickstarter and Indiegogo have enabled many entrepreneurs to introduce their ideas to the world and raise enough funds to take the next step. 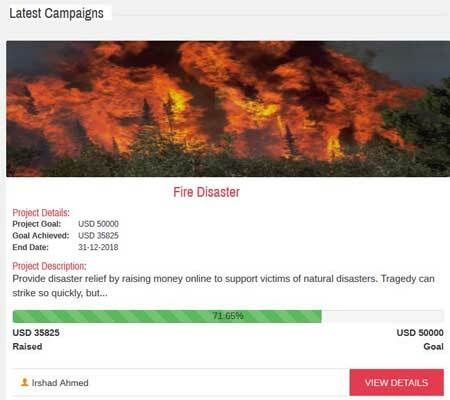 Those sites are not right for every crowdfunding campaign. But you don’t need to learn a whole new CMS to create your own site. 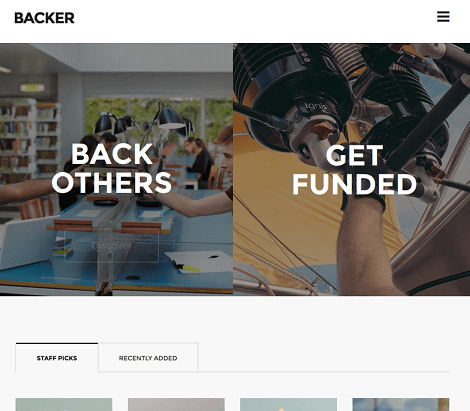 Backer happens to be a theme that turns your WordPress site into an attractive crowdfunding portal. It has an elegant, Retina ready design and supports unlimited projects.